Carrier ComfortChoice — Brownlie Design, Inc. 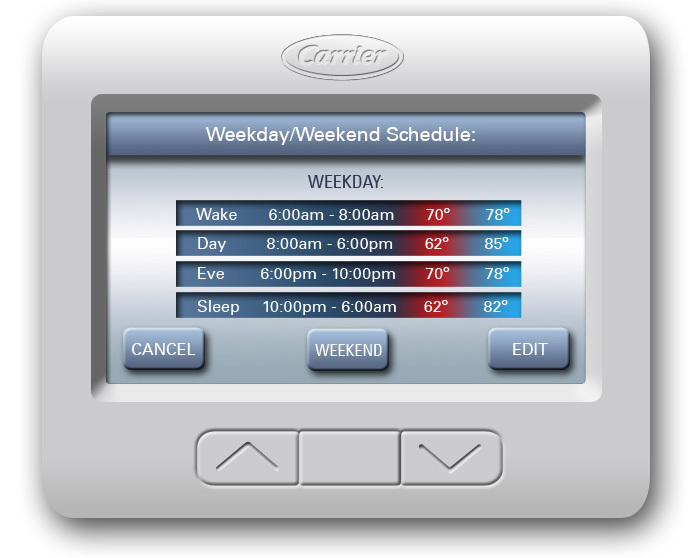 When entering into the market with a Smart Grid compatible thermostat, Carrier asked Brownlie Design to develop the user interface for the ComfotChoice Touch. Working closely with the Carrier team, Brownlie Design contributed the navigation logic, screen appearance and icons. Cited by the 2014 Herter Communicating Thermostat Usability Study, the Carrier ComfortChoice was ranked #1 in consumer preference and task efficiency and given an overall grade of A+.